Solstice collection includes a series of bowls and trays crafted and decorated by hand. 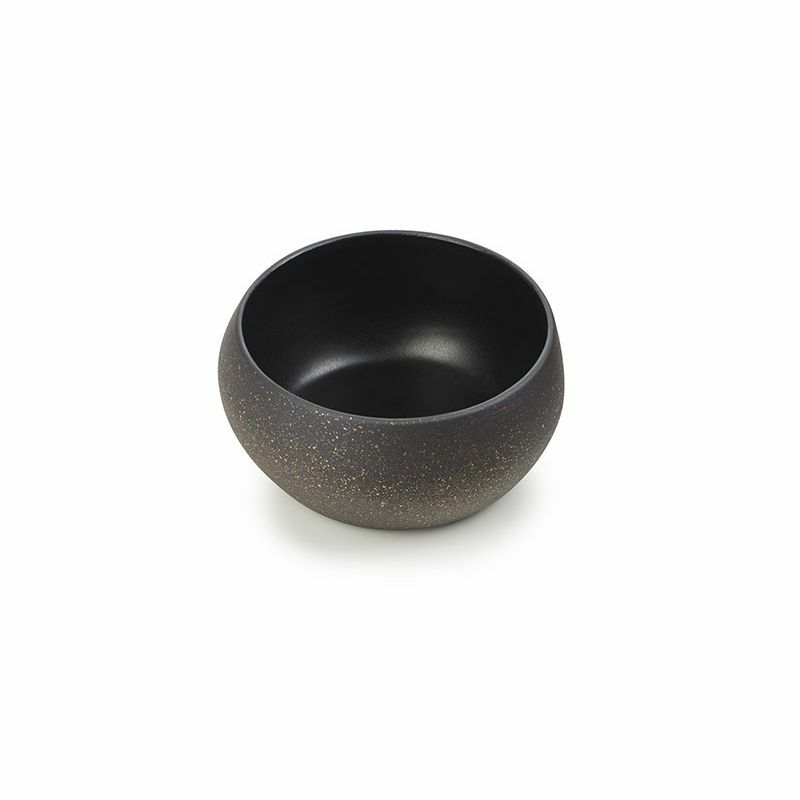 This bowl is Ø5 and is good to serve little appetizers or desserts. Available in 6 colors, each piece plays with matt and glossy finish, gold and platinum reflects. The Cosmos Gold is very dark inside and has touches of gold on the outside. Oven, dishwahser and freezer safe.